matches and cuts skins to proper shape for sewing into rugs. damps furs by wetting them, irons them with heated irons, combs and brushes them by hand; sews fasteners, buttons, ornaments, and imitation black tails on articles of white rabbit fur to resemble ermine; sews heads and inserts glass eyes; sews completed heads on to body of fur; sometimes also sews linings by power-driven machine after articles have been padded and stuffed. combs wool side of sheepskin, by hand, with metal comb; crops it either by machine or with hand shears; trims edges of rugs with hand shears. general term, not in trade use, to cover cutter, finisher, ironer, liner, machinist, nailer, sewer (q.v. ); sometimes specifically designated, e.g., fur boa maker, fur hat maker. 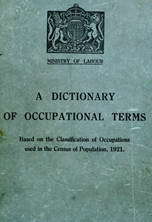 (iii) general term for workers such as cutter, finisher, ironer, liner, machinist, nailer, sewer (q.v. ); cf. furrier (770). pads fur rugs, sews in tapes to keep padding in place; sews lining with sewing machine or by hand. brushes greasy mixture by hand on flesh side of fur skins in preparation for leathering or to soften skins before stretching them. (ii) irons articles made of fur, after finishing, to give gloss. pads fur garments, rugs with wadding by hand; sews on tapes to hold stuffing together. joins up pieces of fur by sewing machine to make garment, rug, etc., working under supervision of cutter (q.v. ); sews in linings, by power-driven machine. selects skins that will match, arranges them to piece well together, and cuts them out according to pattern with furrier's hand knife. chalks, on board, pattern to which skins are to be cut; stretches skin to pattern on board, by damping and nailing it, stretched, in required position; then dries and removes it for cutter. (ii) sews, by hand, damaged (portions of fur skins, torn in process of dressing.